However ugly you (or I) think the Porsche Panamera is, there’s not a soul on the planet who’d be surprised to see the Panamera picking up steam and quickly becoming Porsche’s best-selling model. 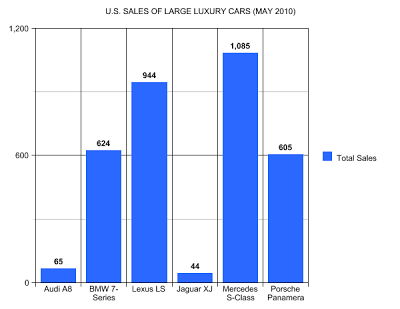 That fact being obvious, it must also be pointed out that Porsche’s big hatchbacky sedan still sits far back of similarly-priced competition from Mercedes-Benz and Lexus. Imagine, if you will, the buyer who cross-shops the Panamera and the Lexus LS. Yeah, I can’t actually figure out who that person is either. But S-Class and 7-Series comparisons seem probable, and the Panamera trailed its German competition in May, too. Well, the Panamera trailed all German competition except for the Audi A8, a car which always deserves your attention but never receives it. Then there’s the Jaguar XJ. 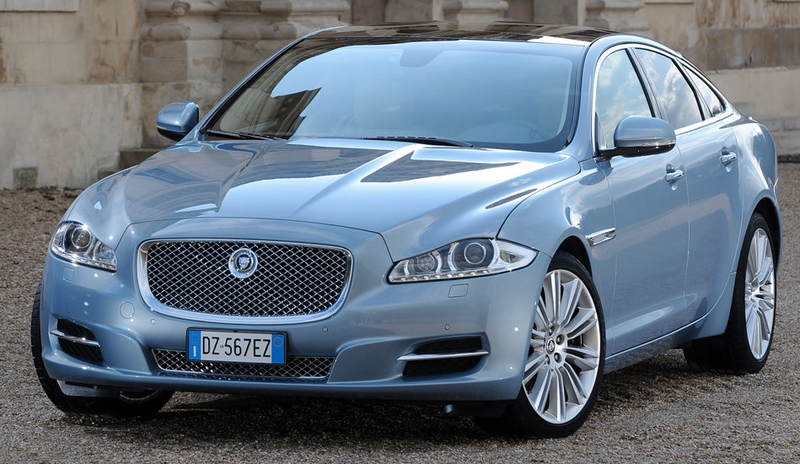 At the end of May a few buyers were finally treated to the challenging design that is Jaguar’s 2011 XJ. Expect to see a higher sales total for Jaguar in June’s Sales Stats, but how high is hard to predict. Even with a vastly improved product portfolio, Jaguar is a niche player in niche markets.